My way of approaching photo books isn’t systematic, doesn’t follow any rules. Sometimes, I start with the beginning, sometimes, I read the press release first, sometimes, I look at the photographs first. In the case of The Lumen Seed by Judith Crispin I did all of the three almost simultaneously. 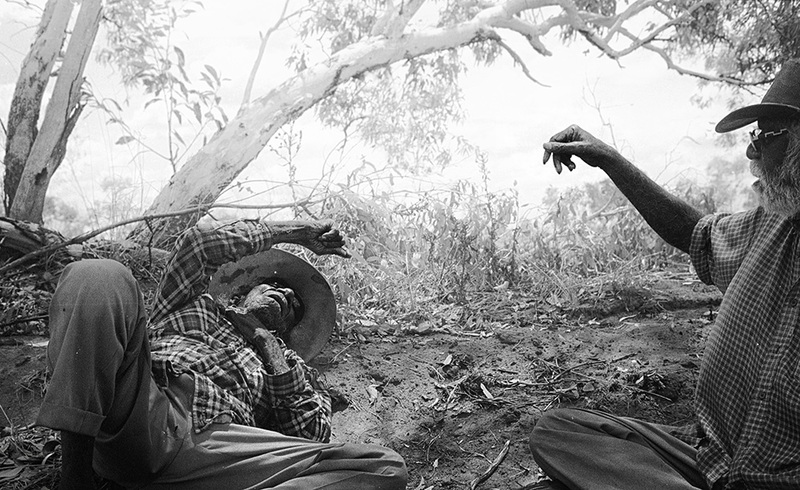 I can easily identify with the Warlpiri take on things for as a young boy I was convinced, like the native Indians in North America, that to tear a branch from a tree meant to hurt the tree. This feeling of being connected (to be more precise: that all things – including human beings – are connected) , I’ve never really lost. When, a few years ago, the only reason I did not give in to the urge to embrace the two tall trees I was passing by when going to the beach (near Havana, Cuba) was my fear people would think I’m nuts or from California. 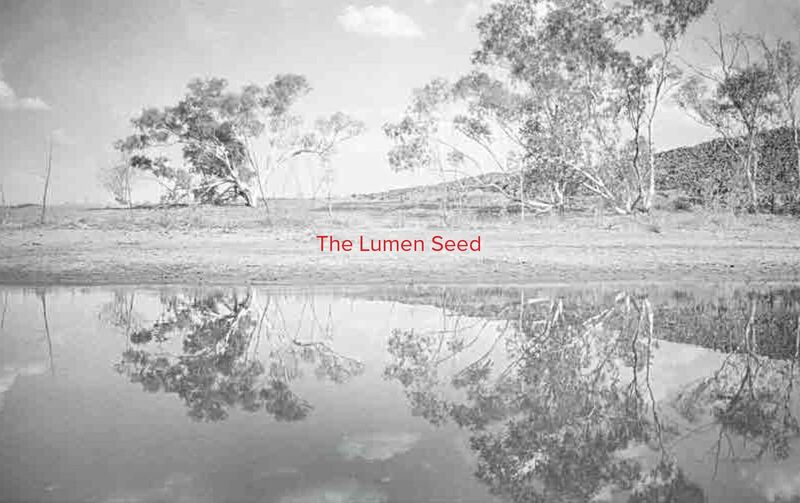 “The Lumen Seed” was “created in close consultation with the Warlpiri community elders”, I learn. And so I imagined Judith Crispin sitting devoutly on the floor listening to an old wrinkled man in an armchair smoking a pipe … well, I was wrong. Just look at the Wirntali-Jarra pic and read the caption and you will get a sense of the thoroughly relaxed and easy-going atmosphere that this tome conveys. Is there anything more desirable than to go through life feeling at ease? 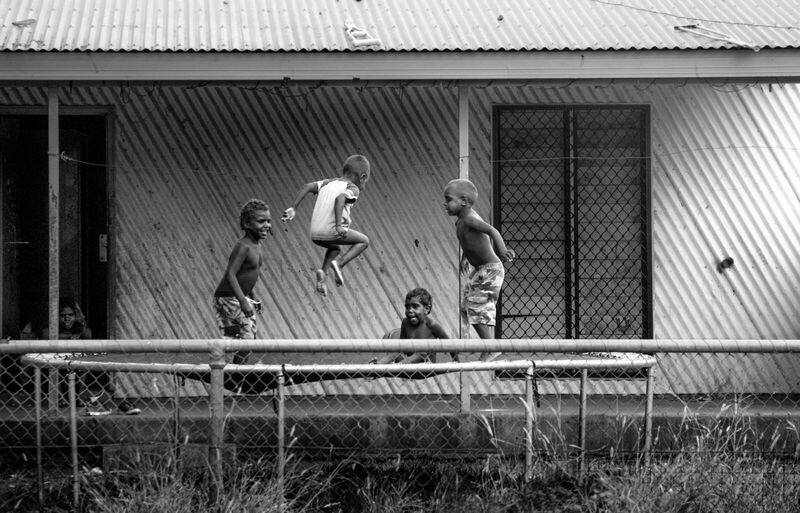 Henry Jackamarra and Jerry Jangala have known each other since they were small children. More than a decade his senior, Henry treats Jerry like a little brother – still lecturing him on what he eats and wears, although both men are now respected elders. Juno Gemes characterises The Lumen Seed as standing in the “collaborative tradition of relational documentary photography” while Judith Crispin states: “This is not a book of photojournalism and makes no attempt to be objective. Quite the contrary, in fact. I wanted this book to be as subjective as possible.” Well, I’d say, the more subjective you are, the more likely it is that others will be able to identify with your point of view. For, “objectively speaking”, we are less special than we think we are and have more in common with one another than we probably like to have. UFO enthusiast Arc Vanderzalm moved to the desert in 2004 to establish a UFO-themed van park. In the can park’s early years, Arc rescued an abandoned emu chick and raised him by hand. He neamed him Eemie. 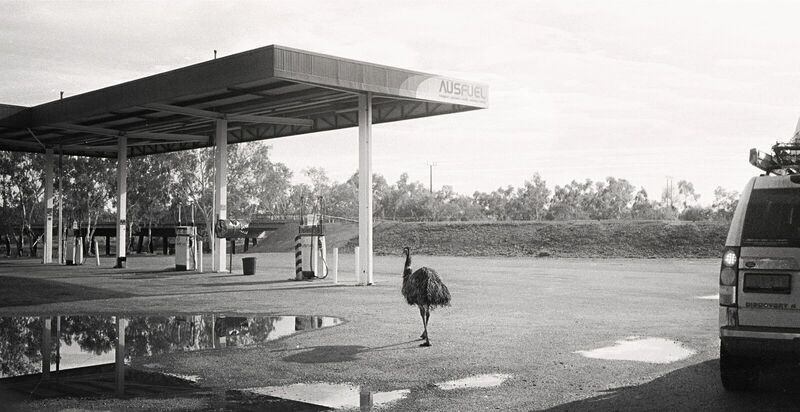 Travelers stopping for fuel at Wycliffe Well roadhouse are sometimes surprised by an adult emu staring in at them through the window. While a guest of the van park, I once startled Eemie by walking into the ladies’ shower block. He peered out at me through the shower curtain with an air of embarrassment, a though I’d intruded at a delicate moment. Later, as I drove toward Tennent Creek, I spotted Eemie chasing a farm dog down the highway, legs akimbo. The reason I’m quoting Judith here at length is because I wished more photographers were informing me about how their pictures came about respectively what preceeded the picture taking and what then followed. For the picture taking I warm to most is documenting a process.